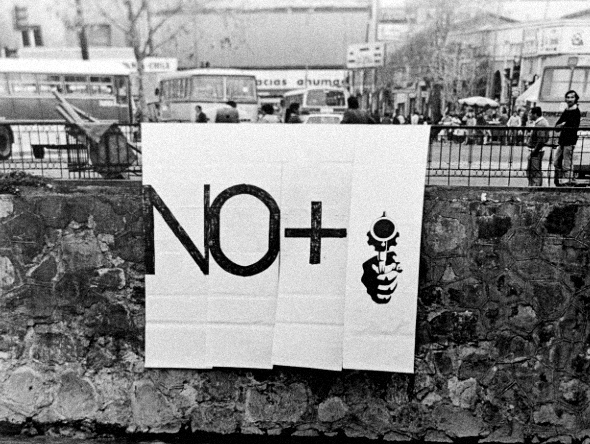 No+ (No more) was a slogan to be completed by the citizens of Santiago de Chile according to their specific demands during the dictatorship of Augusto Pinochet. 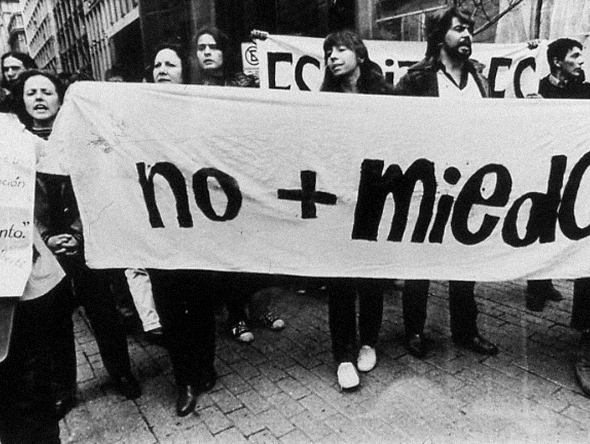 The action was used by the Colectivo de Acciones de Arte (CADA) to challenge and oppose the dictatorship, and it included theatrical and art performances as strategies to intervene in everyday life in order to fill the gap between artists and spectators. No+ spread all over the country and it became a symbol of political resistance and dissent. Citizens appropriated the slogan for political intervention in the public sphere. Colectivo de Acciones de Arte promoted the fusion of art and life as a strategy to fill the gap between spectators and artists. Throughout different performances and art actions, they understood the necessity for a theoretical and practical renovation of the artistic debate in Chile, which needed to be contextualised for the development of political resistance and critical thinking among intellectuals and citizens. The slogan was soon used by different collectives all over the country as a massive public symbol of political resistance and non-conformity.